Toronto-based Organic Garage believes that a substantial organic selection — and not much else — is enough to give the natural food retailer an edge on larger, established competitors. The organic retailer opened its third location last month, a site that serves as both the brand’s largest home and the first of a multiple-store expansion in Toronto. The niche-retailer offers between 10 to 12,000 SKUs with 60% of that roster being organic. All of the produce falls under the organic umbrella as well. 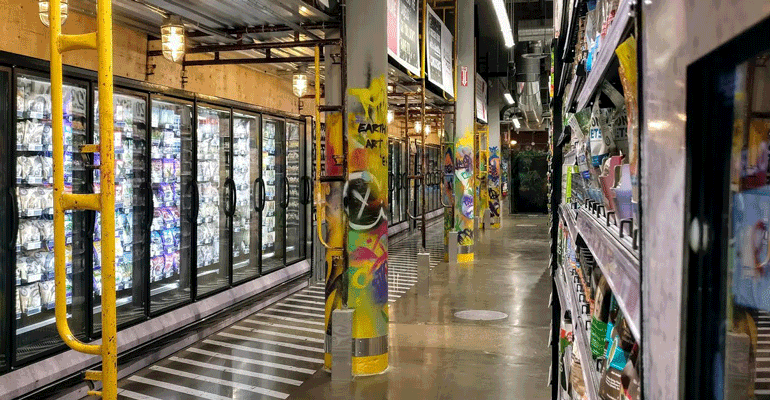 “Those chain stores are just introducing organics to all of those conventional customers who were eating conventional stuff before and getting them onto the program,” said Lurie who believes the depth of selection at Organic Garage will allow it to outpace the natural selections at more established, traditional chains. “Thus, I have a chance to acquire [those customers] at a very low cost,” he added. Lurie says that conventional chain retailers may tout organic items, but in reality, these products are only a fraction of their SKU roster. Organic Garage’s bread and butter is having a wide variety of natural food offerings. As shoppers become more accustomed to organic products, Lurie believes that customers will start seeking out grocers such as his more and “outgrow” mainstream competitors. Though currently only a three-store operation, Lurie expressed confidence that his brand is built to weather the long haul. The resolve was not shaken when Whole Foods sold to Amazon last month amidst flagging performance in recent years. Organic Garage keeps its staff costs low; Lurie, doesn’t believe that organic stores need to draw clientele with resident dietary experts or other expanded staff members any longer. Instead, Lurie contends, modern shoppers are either familiar with natural food selections by now or they can find answers to any questions they may have via their devices. The concept takes a different approach from Whole Food’s model of having staff onsite to answer customer questions. Organic Garage fields a streamlined labor model and adheres to discount strategies intended to keep prices lean. “Our goal is to continue to drive costs out of our system so that we can continue to be competitive on price,” said Lurie, stressing that price is often what takes down health food stores. His store opts to communicate with signs as opposed to resident experts or expensive tools. 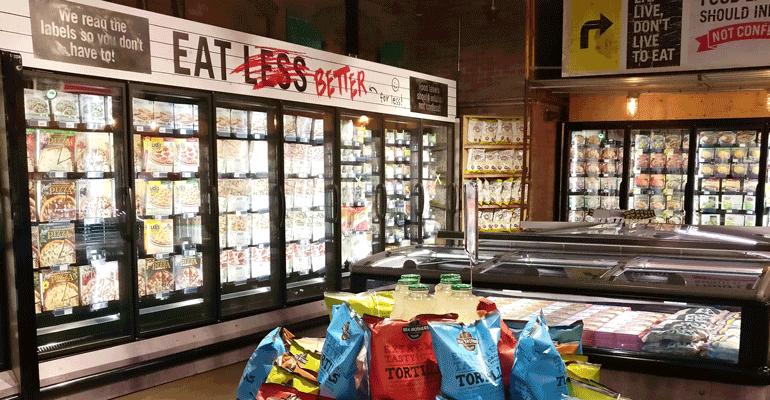 This approach helps keep the operating costs low for the natural-food retailer. Whole Foods’ has been testing a low-cost interpretation of its brand since 2016 when the company rolled out 365 by Whole Foods. The streamlined concept was targeted to shoppers who desired natural foods but not the heftier price tags typically associated with them. He told SN that when he compares his prices to Whole Foods, Organic Garage typically comes out 18 to 24% cheaper than its competitor. Organic Garage’s newest location is 15,000 square feet. The company was founded in 2005 and plans to open a fourth store in 2018.